Prepare yourself, Greendale Human Beings! 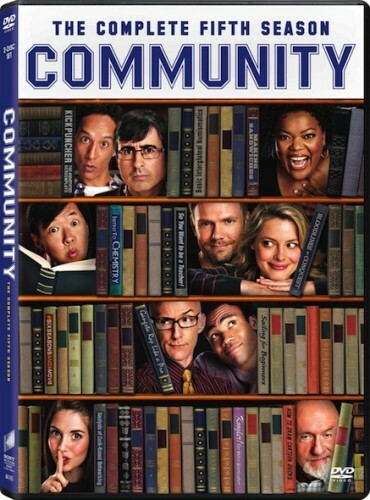 Community Season 5 will be released on DVD in less than two weeks! The Little Show That Could (And Did!) 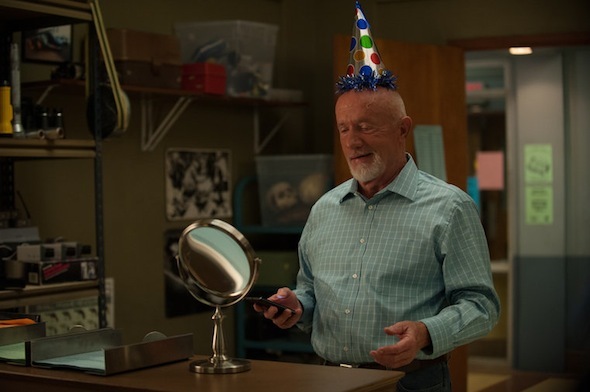 returned earlier this year for a fifth season with showrunner Dan Harmon back at the helm, bringing some of the best episodes since season 3. This season saw the return of most the study group’s principal players. Donald Glover, who plays Troy Barnes, was only in the season’s first five episodes, as Glover left the show to work on his rap career. 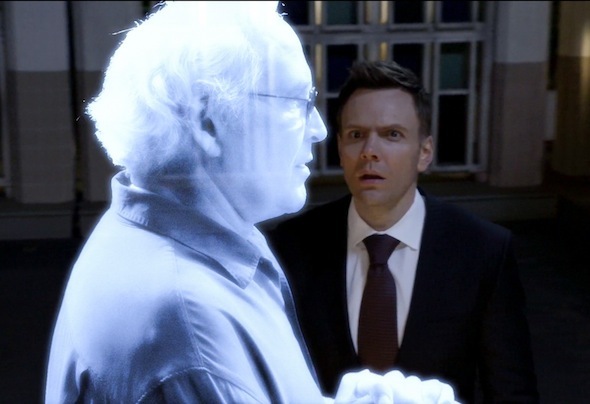 Chevy Chase’s Pierce Hawthorne makes an appearance in the season’s first episode as a hologram, having left the show at the end of season 4. -“App Development and Condiments,” which sees the students of Greendale using a smartphone app to rate one another, creating a hierarchy on campus. Community season five will go on sale August 5. I already have my viewing marathon scheduled. This entry was posted in The HV Blog and tagged Chevy Chase, community, Donald Glover, joel mchale, Television by jedkeith. Bookmark the permalink.